Test out your game knowledge, with the new app called Guess The Gamer, that puts your memory to the test. The object of the app is to basically guess each game puzzle from classic games from the NES, N64 or PlayStation, and fill out their names in the bottom box. Experiment with many different levers, pulleys, inclined planes, wheels and more, with the Simple Machines app by Tinybop; that allows you to learn the basics of astronomy and physics, with different puzzles, stages and quizzes throughout the app. 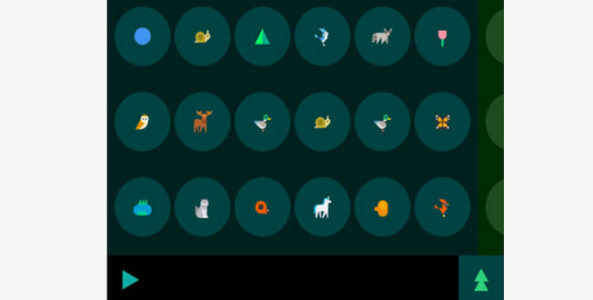 SoundForest is a mini music maker that let’s you instantly compose a song using an array of musical creatures or elements. You can compose a loop by tapping different animal instruments that have certain beats to them, and turn them into a hypnotic tune that sounds like no other. The Merge VR goggles are a new set designed just for smartphones, that provide a whole new world when you put them on. You can experience an immerseful, VR world in an app on your iPhone with this headset, and surround yourself in a entirely new setting. Looking for a new game to play on your iOS device? You might want to head to the App Store to download the much-talked about Animal Crossing: Pocket Camp. Microsoft just announced their new game streaming platform called Mixer which is a re-branded version of their former streaming service Beam; which allowed you to stream games on your PC or Xbox One. Experience pure basketball fun with fast paced gameplay and smooth animations, with the new Stickman Basketball app; that lets you choose your favorite team and rank up in the levels with various seasons, events and arenas. The calming yet addictive puzzle game is back, and with over 100 hand-crafted puzzles, Kami 2 takes you on a mind-twisting journey that combines logic, color and problem-solving in a fun new way. The popular mobile game, Pokémon GO, took the world by storm when it was first released during this past summer. The company, Niantic, originally said that it had plans on releasing an Apple Watch version of the game by the end of the year. However, rumors surfaced saying that the company changed its plans and cancelled the idea. If you love to play video-games on your iPad Pro, then the new Gamevice Controller will be perfect for you since you can literally connect it on the sides of your iPad Pro 12.9, and it will respond and perform just like if you were using a touchscreen device.